This week, BSR held the second forum in its four-part Practitioner Discussion on Fuels, a set of web-based roundtables bringing together a cross-sector network to discuss sustainability opportunities for oil, natural gas, biofuels, and electric vehicles. The discussions are structured around four questions and are part of our wider Future of Fuels Stakeholder Forum series (PDF), which aims to advance the dialogue on systemic solutions for the most difficult sustainability problems facing transportation fuels. In our first discussion, participants agreed that we must find ways to shift away from oil as a transportation fuel but questioned when that will happen, realistically, and what to do in the meantime. Some emphasized improving the impacts of oil production today by ensuring the adoption of best practices throughout the industry. Others favored the adoption of efficiency measures and new technologies. Some participants pushed back on the idea of a technology panacea, arguing that when making investment decisions on new technologies, businesses must take care to think about the long term and how to achieve the biggest impact. Yet there is no silver-bullet replacement for oil when considering the different types of vehicle used, operational structures of businesses (e.g. long-haul freight versus intra-city delivery fleets), and technological limitations of alternatives. In the second forum, participants acknowledged that oil would continue to be a dominant source of fuel, at least in the short term. 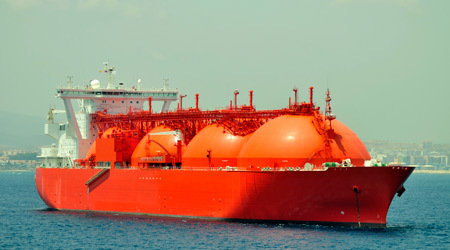 However, diverse perspectives were raised about the role that natural gas can and should play as a transportation fuel. One camp was firmly against the use of natural gas as a fuel for transport, arguing that it is a dead end from a greenhouse gas footprint standpoint and that we should focus on developing other low-carbon fuels instead. Others pointed to the promise that natural gas holds for reducing emissions and for accelerating the clean-transportation industry. Participants did agree that there are significant potential lifecycle impacts of natural gas that must be managed, such how it affects communities and water. There was widespread agreement that methane leakage in particular required more focused attention to improve understanding of impacts. As we move into the second half of our series, we will seek to identify the perceived and potential obstacles to responsibly developing biofuels (July 9) and electric vehicles (July 23). Our discussions to date have revealed that we must focus on what can be done in the near term to improve the impacts of oil and natural gas production and use. This includes adopting best practices throughout the value chain and increasing our knowledge of impacts, which in turn will support better fuel management from a sustainability perspective. This near-term focus must be coupled with long-term, strategic thinking on how businesses can shift away from oil toward fuels with better sustainability profiles. We have seen the opportunities and challenges that natural gas offers, and while biofuels and electric vehicles are promising as advanced low-carbon fuels, perspectives differ on how promising they truly are, particularly in the short term. In our next two discussions, we will delve into the sustainability issues and impacts associated with biofuels and electric vehicles and what business can and should do to bring these fuels into the future mix. Registration is still open for our biofuels and electric vehicles discussions. For more information on the Future of Fuels initiative, you can contact us at futureoffuels@bsr.org and sign up for automatic updates.